One of the most crucial issues of recent environmental sciences is the topic of background concentrations of elements and organic compounds in various abiotic and biotic systems. The relationship between natural and anthropogenically altered concentrations of chemical species is a question that involves many implications in the geosciences, environmental and biological sciences, toxicology, and other related disciplines. This is especially important when interpreting geochemical and biogeochemical anomalies of toxic elements and/or organic compounds in various media. To better understand the potential impact of hazardous substances in the environment, we must become more familiar with their spatial and temporal distribution and with their behavior under different physico-chemical and biotic conditions. 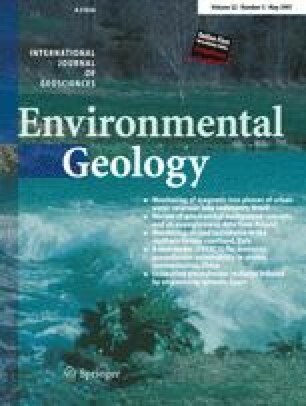 This review presents an assessment of the geochemical background concept as used by various authors. Different assumptions and approaches to this topic are presented, including direct, statistical, and integrated methods. Based on the results derived from geochemical and biogeochemical studies performed in selected forest ecosystems of Poland, an integrated method is presented. As a consequence of data processing, a normal distribution of data points was obtained using an iterative 2σ-technique. This method of estimating geochemical background is feasible and can be used for setting environmental quality standards or for studying the impact of anthropogenic pollution sources on the environment. The author thanks Dr. Zdzislaw M. Migaszewski of the Pedagogical University in Kielce for encouraging me to write this paper, allowing me to use the archival data, and making comments on the subject discussed that certainly influenced the quality of my paper. I would also like to express my gratitude to Dr. Larry P. Gough of the US Geological Survey in Reston, Virginia for reading the final version of my paper and for the valuable remarks.